Famous scientist Albert Einstein (1879-1955) is known even to humanists who do not like exact sciences because his name has become a household word for people with incredible mental abilities. Einstein developed modern physics. He is a great scientist, the founder of the theory of relativity, and the author of more than three hundred scientific papers. Albert is also known as a publicist and public figure, who was awarded an honorary degree at about twenty universities around the world. His personality has attracted people with his ambiguousness. Despite the incredible ingenuity, he sometimes could not solve easy everyday problems, which made him an interesting person in the public eye. Albert was born on March 14, 1879, in a poor Jewish family in the small German city of Ulm, situated on the River Danube. The father of the brilliant physicist, Hermann, was engaged in the manufacturing of feather mattresses, but soon the family moved to Munich. Hermann and his brother, Jacob, founded a small company that sold electrical equipment. Initially, the business was successful, but soon they could not compete with large firms. In childhood, Albert was considered an obtuse child because he did not speak until the age of three. 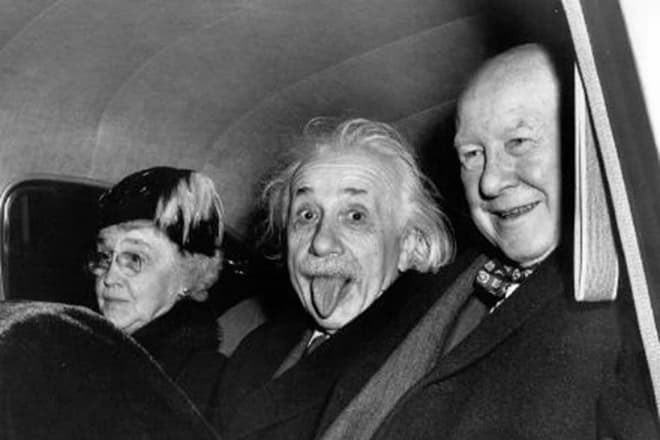 The parents were even afraid that their child would not learn how to pronounce words because at the age of 7 Albert could hardly move his lips, trying to repeat the phrases which he memorized. The mother of the scientist, Pauline, also feared that the child had a congenital deformity. The boy had a large back of the head, which protruded forward, and Einstein's grandmother constantly repeated that her grandson was fat. Albert had little contact with his peers and loved solitude. For example, he liked building a house of cards. 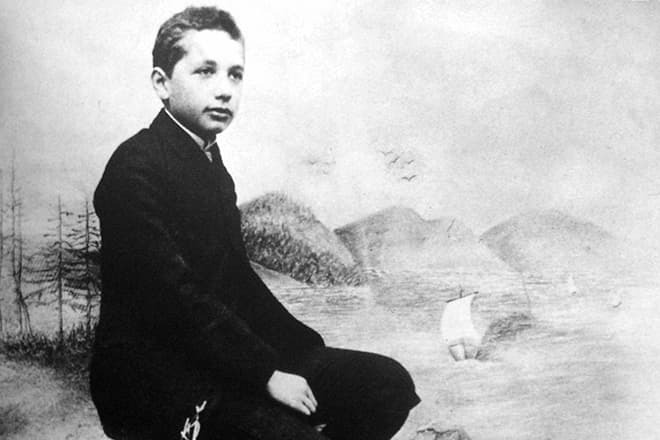 From an early age, the great physicist had a negative attitude toward war. He hated to play soldiers because it represented a bloody war. Einstein did not change his point of view even later. He actively opposed bloodshed and nuclear weapons. The genius’s lively recollection was the compass that his father gave Albert at the age of five. At that time, the boy was sick, and Hermann showed him the object that attracted the child because the device’s arrow always showed the same direction. 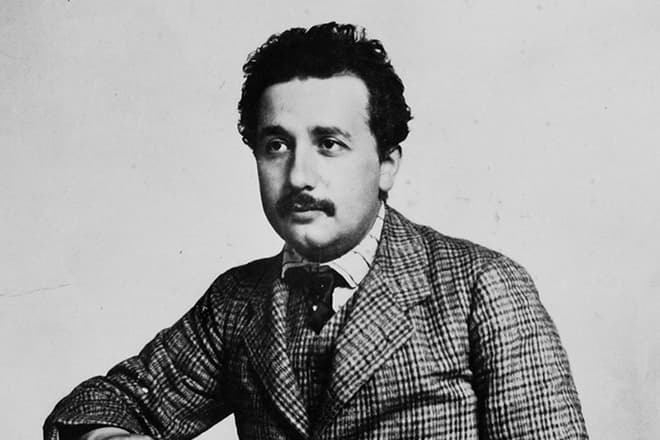 This small thing aroused an incredible interest of young Einstein. Uncle Jacob often taught little Albert and from childhood instilled in his nephew the love for exact mathematical sciences. They read geometry and mathematics textbooks, and the young genius was always incredibly happy to solve a problem himself. 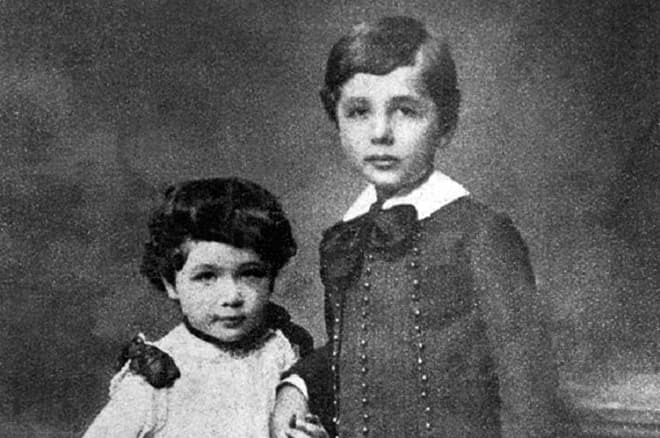 However, Einstein’s mother, Paulina, was negative about such occupations and believed that a love for the exact sciences would only harm the five-year-old child. But it was clear that this man would make significant discoveries in the future. 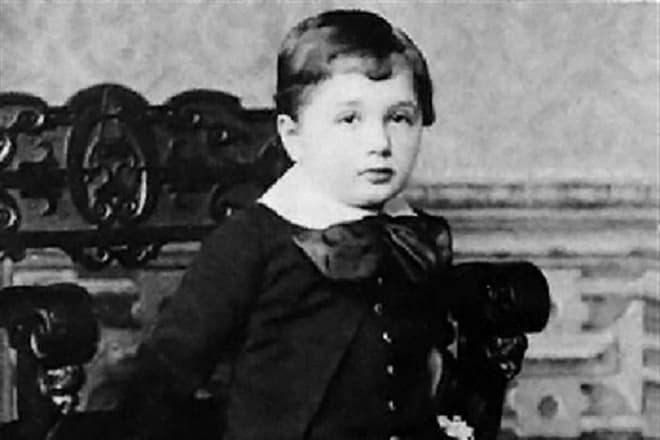 It is also known that Albert was interested in religion from childhood. He believed that it was impossible to start studying the universe without understanding God. The future scientist watched the priests anxiously and did not understand why supreme intelligence did not stop the war. When the boy was 12 years old, his religious conviction sank into oblivion due to the study of scientific books. Einstein began to believe that the Bible was a highly developed system of managing young people. After graduation, Albert entered the Gymnasium in Munich. Teachers considered him mentally challenged due to his tongue tie. 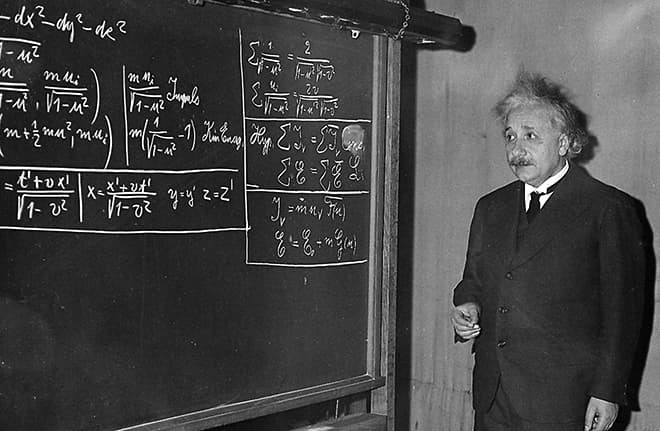 Einstein studied only those subjects that were interesting to him, ignoring history, literature, and German. He had difficulties learning the German language, and the teacher even told Albert that he would not graduate from school. Einstein hated going to school and believed that the teachers did not know much, but they considered themselves to be arrivistes who were allowed everything. Thus, young Albert constantly argued with them and had a reputation as a backward and bad pupil. Without graduating from the gymnasium, 16-year-old Albert and his family moved to Milan, Italy. Hoping to enter the Swiss federal polytechnic school in Zürich, the future scientist went to Sweden on foot. Einstein obtained exceptional grades in the exact sciences but failed to reach the required standard in the humanities. But the principal of the Polytechnic appreciated the outstanding abilities of the teenager and advised him to attend the school in Aarau, Switzerland, which, by the way, was not very prestigious. However, the teachers also did not consider Einstein to be a genius. After graduation, the best students of the Argovian cantonal school in Aarau went to get higher education in the capital of Germany. However, teachers did not appreciate the abilities of the graduates in Berlin. Albert learned the questions that the director’s favorites could not cope with and solved them. After that, the delighted future scientist came to Schneider's office, showing the solved problems. Albert put the principal out of temper, saying that the latter chose students for competitions unjustly. Having graduated successfully, Albert entered the school of his dream in Zürich. However, the young genius had a poor relationship with professor Weber, which led to their constant conflict. Due to disagreements with professors at the institute, Albert could not build his scientific career. He passed the Swiss Matura with mostly good grades, but the professors refused the student a teaching post. Einstein liked to work at the Research Department of the Polytechnic. Weber said that his student was a smart person who did not accept criticism. 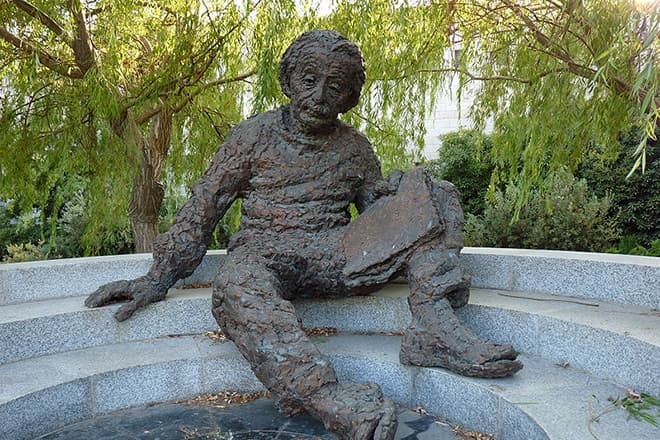 At the age of 22, Albert passed the exams in Maths and Physics and was awarded the Federal Polytechnic teaching diploma. But due to the quarrels with teachers, Einstein could not find a teaching post having searched for a job with a steady wage for two years. Albert lived poorly and could not even buy food. The scientist’s friends helped him to find a position at the Patent Office, where he worked for a long time. The scientific paper on the theory of Brownian motion. Einstein's theory of relativity radically changed the laws of classical mechanics that were based on Newtonian mechanics, which existed for about two hundred years. 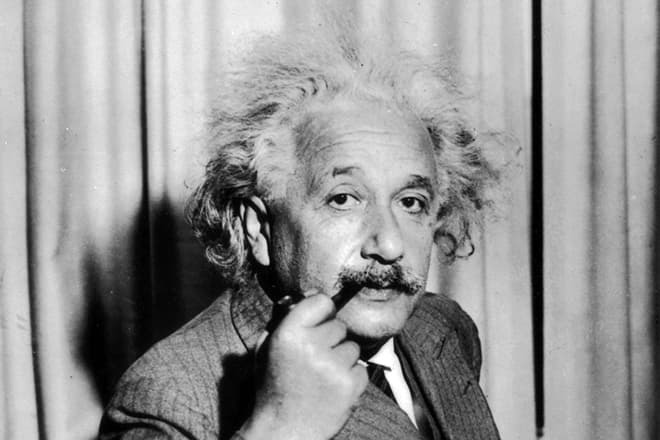 But only a few scientists could fully understand the theory of relativity, derived by Albert Einstein. Therefore, they taught the general theory of relativity in terms of special relativity in educational institutions. Special relativity explains how space and time are linked for objects that are moving at a consistent speed. So, the higher the speed of the moving objects, the more size and time are distorted. The theory of special relativity says that time travel is possible when a thing can fly faster than the speed of light. Therefore, such journeys are impossible because nothing moves faster than the speed of light. As for low speeds, space and time are not distorted; therefore, classical laws of mechanics can be applied here. However, the distortion is noticeable at high speeds which are called relativistic velocities. It is only a small part of Einstein’s theories of special and general relativity. Albert Einstein was nominated for the Nobel Prize more than once; however, the scientist could not win it for about 12 years because of his fresh approach to exact science that was not clear to everyone. 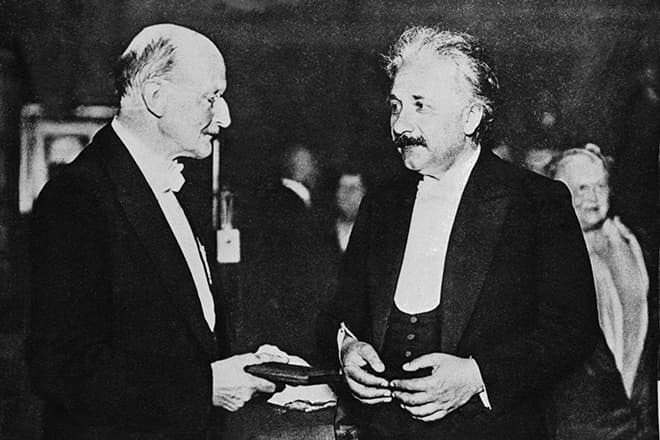 However, the committee decided to compromise and nominate Albert for his services to the theory of photoelectric effect, and the scientist was awarded the prize. The reason was that this invention was not so revolutionary as the general relativity, although Albert wrote a formal speech about it. However, when the nomination committee sent a telegram, the scientist was in Japan, so they decided to carry forward the 1921 Prize and awarded him in 1922. However, there are rumors that Albert knew before his trip that he was nominated. But the scientist decided not to stay in Stockholm at this crucial moment. The life of the great scientist had a lot of interesting facts. Albert Einstein was a strange man. It is known that he did not like to wear socks, and also hated brushing his teeth. Besides, he could not remember simple things, for example, phone numbers. 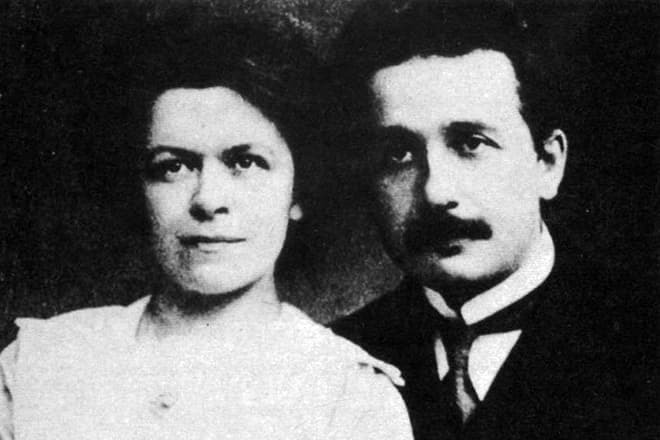 Albert married Mileva Marić at the age of 26. Despite 11 years of marriage, the spouses soon had disagreements about family life. There are rumors that Albert was a ladies' man and had about ten mistresses. However, he offered his wife a cohabitation agreement, and under the contract she had to observe certain conditions, for example, to do laundry. But the deal did not require that Mileva and Albert had any love relationships, so the former spouses even slept separately. The genius had children from his first marriage. The younger son died in a psychiatric hospital, and the scientist had no relationship with the older one. 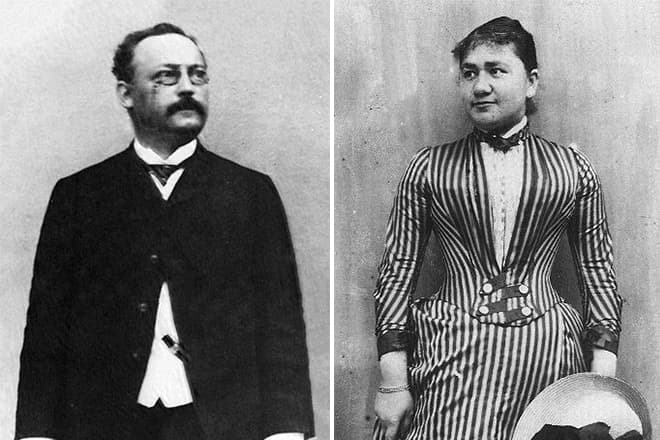 After the divorce from Marić, the scientist married his cousin, Elsa Löwenthal. However, he also liked Elsa’s daughter, but she did not love the man who was 18 years older. Many people who knew the scientist said that he was a very kind person who was ready to lend a willing hand and admit to making an error. In the spring of 1955, Einstein and his friend went for a walk and had a simple conversation about life and death, and the 76-year-old scientist said that death was also a relief. On April 13, Albert's condition deteriorated sharply. Doctors diagnosed an aortic aneurysm, but the scientist refused surgery. Albert was in the hospital, where he suddenly felt bad. He whispered words in his native language, but the nurse could not understand them. 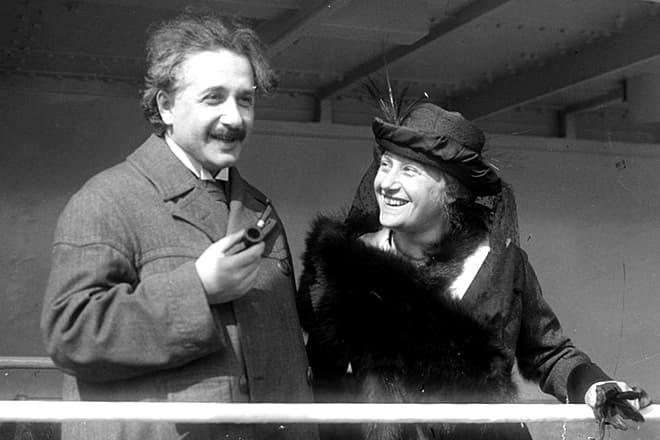 The woman went to the bed of the patient, but Einstein died of internal bleeding caused by the rupture of an abdominal aortic aneurysm on April 18, 1955. All his friends said that he was a gentle and kind person. It was a significant loss to the scientific world. The physicist’s quotes about philosophy and life are a subject for separate discussion. Einstein formed his own and independent opinion about life, but more than one generation agrees with it.